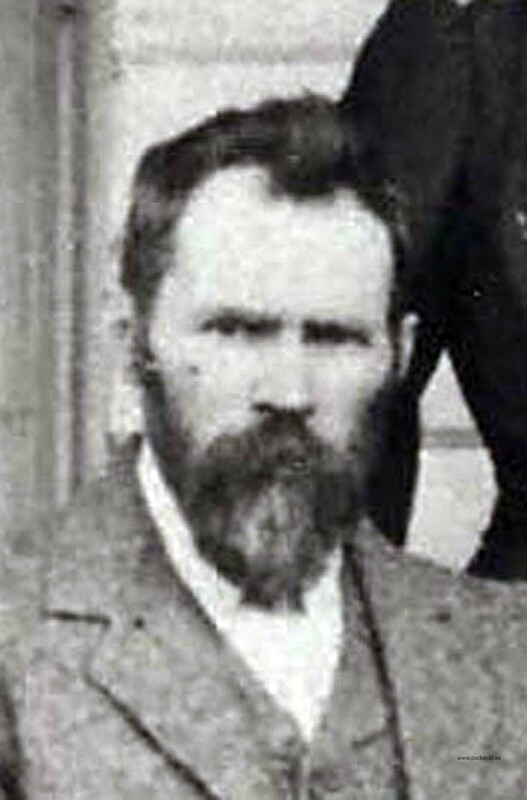 2-Alexander Harvey was born on 22 Jun 1856 in Cambusnethan, Lanark, Scotland and died on 27 Oct 1931 in Sisters Creek, Tasmania at age 75. 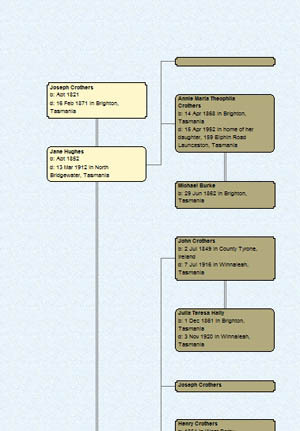 Alexander married Eleanor Susannah Little, daughter of Denzel Little and Eliza Dadson, on 9 Aug 1882 in Deloraine, Tasmania. 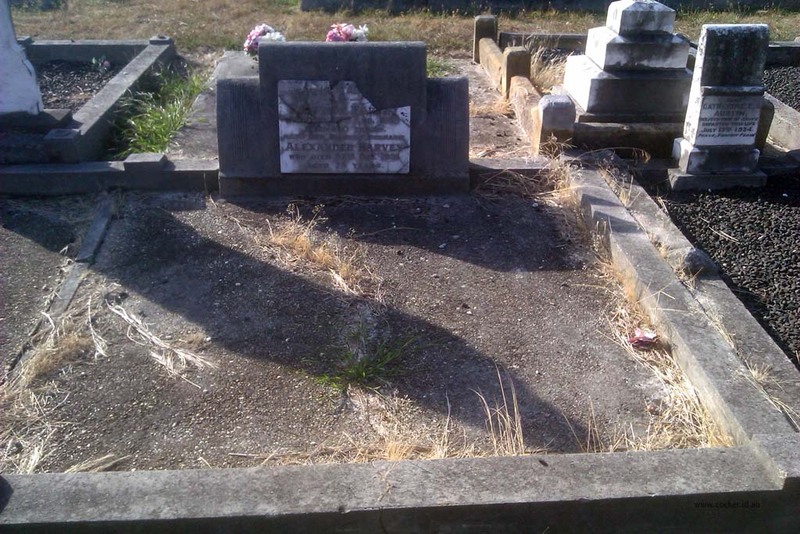 Eleanor was born on 19 Nov 1857 in Westbury, Tasmania and died on 23 Aug 1918 in Wynyard, Tasmania at age 60. They farmed at Myalla on the North West Coast of Tasmania. OBITUARY. Mr. Alexander Harvey, Myalla. The death occurred at his home at Myalla on Tuesday of Mr. Alexander Harvey, after a short illness. 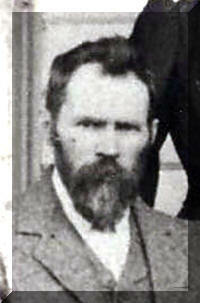 The late Mr. Harvey was born in Scotland in 1856, and when quite young migrated with his parents on the Indiana, to Tasmania. For a time he resided in the Westbury district. 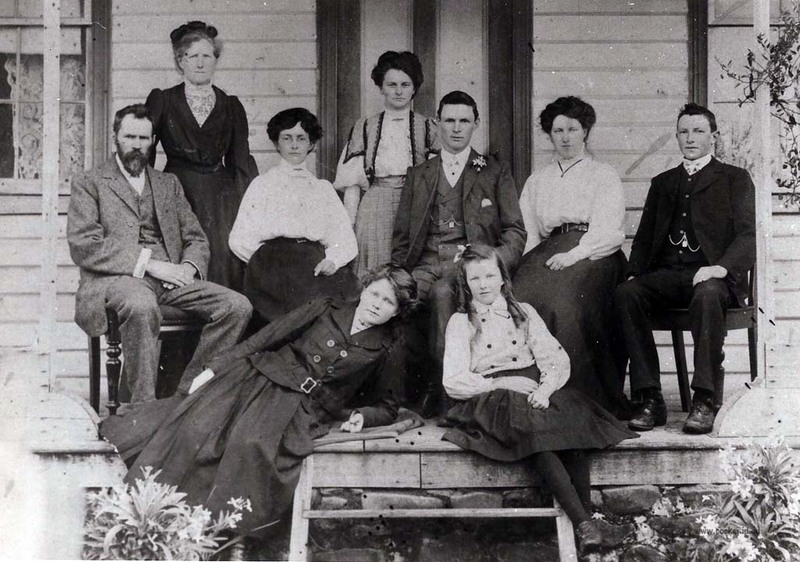 In his early twenties he took up pastoral and farming pursuits in the Dairy Plains district, near Deloraine, where he lived for 30 years. He married Miss Eleanor Little, daughter of the late Mr. and Mrs. Denzel Little, of Deloraine, who pre-deceased him 13 years ago. There was a family of six, two boys and four girls, who, with the exception of the late Mr. Alexander Harvey, who paid the supreme sacrifice in the Great War, are still living. Those surviving are Mr. J. C. Harvey, Myalla; Mrs. C. Lord, Wynyard; Mrs. J. H. Saward and Mrs. S. J. Gates, Myalla; and Miss Ruth Harvey, Myalla. The late Mr. Harvey had been a resident of Myalla for the past 17 years, and was well-known and highly respected in the district. Ho was a staunch member of the Methodist Church, and whilst residing in the Deloraine district was a circuit steward for over 20 years. The funeral took place at the old public cemetery at Wynyard yesterday afternoon. As the cortege passed the Sisters Creek State School the scholars were lined up on either side of the road to pay their last respects. The cortege was large, and representative of various parts of the district and Coast. The chief mourners were Mr. J. C. Harvey (son), Mr. D. A. Harvey (grandson), Messrs. J. Gates and C. Lord (sons-in-law), and Messrs. Denzel Little (Forth) and Thomas Little, Dunorlan (brothers-in-law). Bev. J. C. Newton officiated at the services at the church and graveside. The casket bearers were Messrs. J. S. Saward, H. H. Saward, H. Gates and C. Hardy. Included in the floral tributes was, a wreath from the teachers and scholars of the Sisters Creek State School.